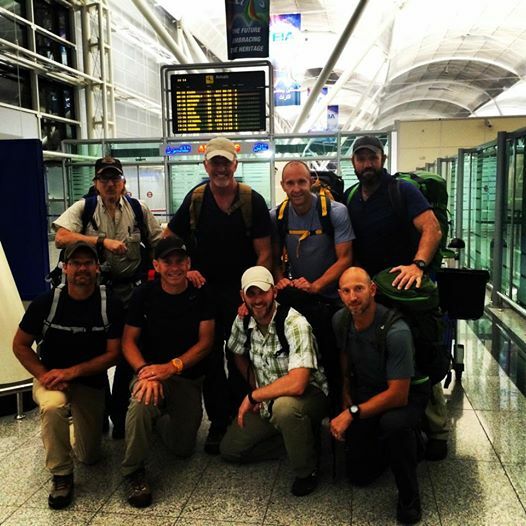 This team of men just returned from an exploratory trip to Iraq and will share their experience at Grace Community Church, Goshen, Ind. (Jim Brown, pastor), on Sunday. “We praise God for all of you who prayed for us and stood with us during this unbelievable journey!” says Jim Brown. Eight men from Grace Community Church, Goshen, Ind., including Pastor Jim Brown, have just returned from an exploratory visit to Iraq. Below is a message he shared on Facebook and with the Association of Grace Brethren Ministers. Watch this site for more information about the trip and how other Grace Brethren congregations can be involved. I just returned from a 9 day exploration mission’s trip in Iraq with 7 other men from our church and God has given us a great opportunity to reach these precious people. I ask that you pray and ask God if He wants you to join us in this mission! Every once in a while God gives his church a “Divine Moment” to plant the Gospel in the hearts of people in a powerful way. We believe this is the moment to do that in Iraq. We believe we are the people to do that. We believe this is the time to act quickly. We believe that the Bride of Jesus Christ can shine in this moment. We believe this is why he created us. We believe we can be a strong, united, unstoppable force pushing back the gates of hell. We believe we can take back ground the Enemy has stolen. We believe this our chance to be bold and courageous and send help, hope, and love to the people of Iraq. We must act now! We can’t shut our eyes to the cries of our poor, persecuted and displaced brothers and sisters.